Lost in the joy and amazing euphoria of celebrating Thomas Bjorn’s 500th European Tour event was the in-form Wade Ormsby producing a round 64 to share the lead at the European Tour’s Made in Denmark event. Ormsby commenced his round from the 10th and stormed his way to the front with birdies on four of his opening seven holes around the jam-packed Himmerland Golf and Spa Resort course. The Adelaide golfer birdied the 11th, 13th, and then a ‘2’ at the par three, 16th. His only blemish of the day was at the 18th or the ninth hole to make the turn in three-under. 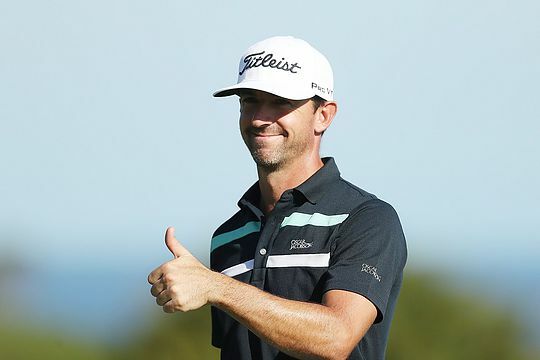 Ormsby then capped his round in a three-hole stretch with birdies at his 11th and 12th holes before moving to seven-under in dramatic manner with an eagle ‘3’ at the 13th or the fourth hole on the card. He ended the round tied on seven-under with the England duo of Steve Webster and Matt Wallace. And Ormsby continues to rake-up the air miles this year having travelled nearly 16,000 kms from last week’s Fiji International, where he led going into the last day before ending in a tie for 5th, to Denmark. Also, in June, Ormsby made his Majors debut in venturing to rural Wisconsin to compete in the US Open. Tasmania’s Ryan McCarthy, who missed the cut at last week’s Fiji International, has bounced back with a 5-under 66 to sit in a log-jam of 10 players in 7th place heading into round two.